Marketing and branding both fall under the umbrella of public relations. People often use the terms interchangeably, but in actuality, they are two different, yet important concepts. Let’s take a look at the similarities and differences and how that applies to Granges. 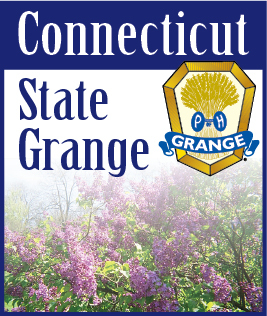 Every individual Grange is a unique brand. The Grange as a whole is a brand. Businesses are brands. Organizations are brands. The Grange, at its core, is a business. We encounter brands every day. Coca Cola, McDonalds, Walmart, Ford and Chevrolet, and John Deere are all popular brands. You immediately recognize these brands and most likely use them in your daily lives. Brands are formed through the sum of all information regarding each business/organization. Branding is the foundation of each business, organization and service, and reinforces how the public (often called your target audience) communicates with each business/organization. It strategically encompasses the values, qualities and mission, and if strong, allows for the business, organization and service to be successful both financially and affectively. It’s the purpose a business exists. Branding is rooted in how the public interacts on an emotional level with business, organizations and services, and how people interpret what the organization “promises” to them. Marketing is how businesses, organizations and services promote themselves and communicate. A support system in a sense to the brand. It is getting in front of customers and members through methods such as publicity, advertising, social media and more, thus enabling growth, establishing reliability, a familiarity and trust within communities. Marketing contributes to the building of the brand, yet the brand itself is a larger entity than any specific marketing endeavor. Compare joining the Grange to how you purchase your vehicle. Are you a Ford person? A Chevy person? A Subaru person? Ask yourself why do you stick with one brand when purchasing your vehicles? A brand is built from many different pieces, but a positive experience and trust will ensure a life-long customer. Does your Grange encourage a positive experience and trust with your members? Ask any Golden Sheaf member why they have remained a member of the Grange for over 50 years, and the answer will most likely be based on their experiences and loyalty to the Grange. The strongest brands understand the branding versus marketing difference, and craft their businesses and organizations based on positioning and creative marketing strategies. At the end of the day, the Grange as a brand gives your members an experience filled with value, knowledge, and benefits. Marketing your Grange promotes the organization and helps to grow your membership. Each Grange should take some time and evaluate their brand - and how they use marketing. Strengthening the Grange foundation from its core will lead to brand loyalty, and thus membership growth.